If you&apos;ve ever worked in a restaurant, you already know that the dress codes can be pretty miserable. The finer the dining, the stricter the rules, and many food industry workers are limited to rather boring all-black styles — don&apos;t even get us started on the slip-resistant kitchen shoes favored by many chefs. 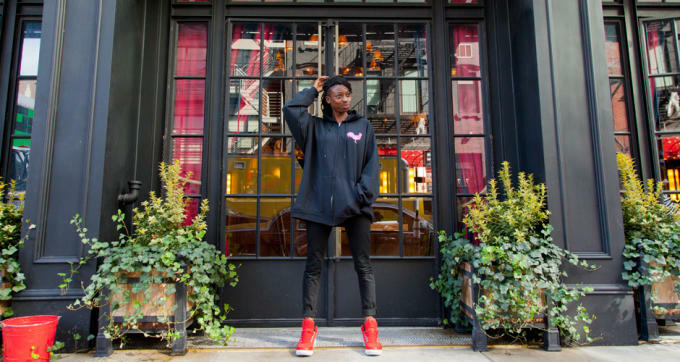 This is precisely what makes NYC&apos;s Dirty French such a breath of fresh air, as its entire staff is required to lace up in Air Jordan sneakers. Dirty French, which is housed within the Ludlow Hotel, is an &apos;80s-themed bistro helmed by Major Food Group founders Mario Carbone, Rich Torrisi and Jeff Zalaznick. The trio have earned a reputation for unconventional eateries and even quirkier sartorial​ guidelines, but Dirty French may be the group&apos;s best coup yet. 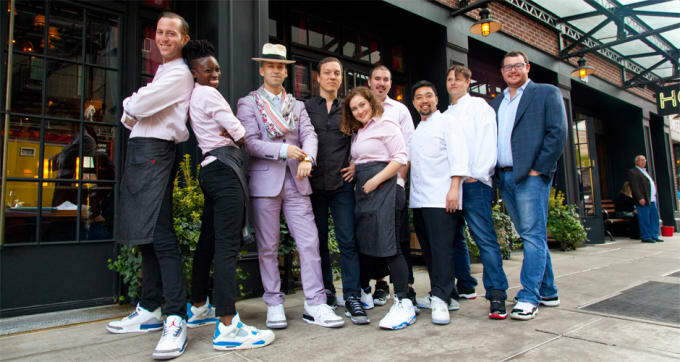 The team at First We Feast set out to get to the bottom of the sneaker-centric restaurant and their findings don&apos;t disappoint. 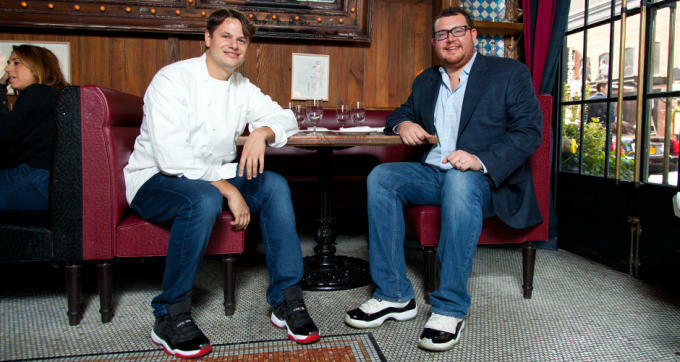 "It was always a dream of mine to open a restaurant where the whole staff wore Jordans," Zalaznick said. 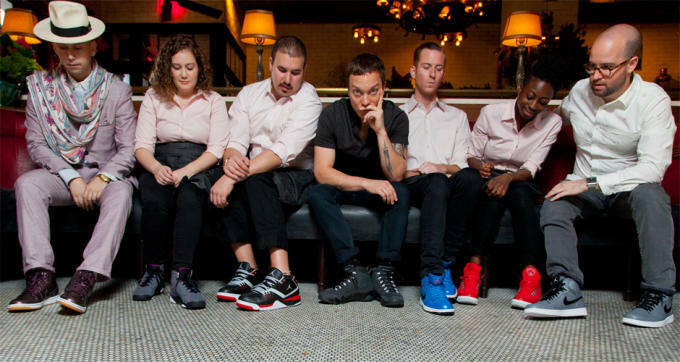 "It [finally] made sense at Dirty French because the restaurant has an ’80s theme, and that was the decade when Jordan started making shoes and sneakers started to become a big part of culture." It makes sense to us, too, but how well does it actually work? 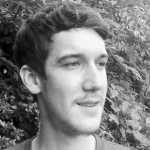 Zalaznick tells First We Feast that the sneaker stash is kept in a locked cage beneath the kitchen and that pairs are checked in and out between shifts and thoroughly cleaned on a regular basis. 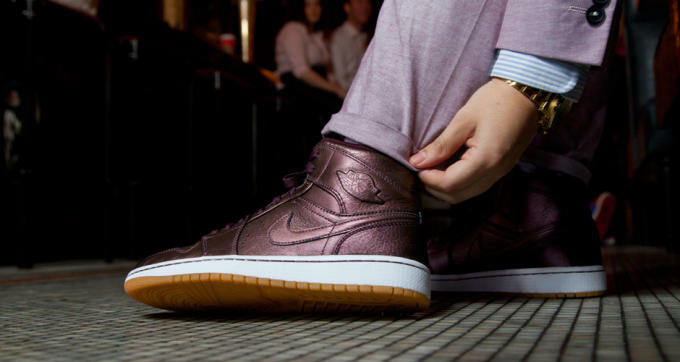 As for the employees, they say that Jordans are far more comfortable and bring them more confidence than traditional restaurant wear. And get this. Earlier this year, Dirty French had the privilege of hosting Michael Jordan himself. "The place was electric. We&apos;ve had presidents in our restaurants, and it was that same type of thing," Zalaznick said. After His Airness finished dinner, Zalaznick sauntered over to ask M.J. if he enjoyed his meal. "I love the food," Jordan said. "But it&apos;s got to be the shoes." Head over to First We Feast now to read the entire article, which includes profiles of each staff member.